The floods caused extensive damage to railway tracks, bridges, culverts, communication systems and other infrastructure. 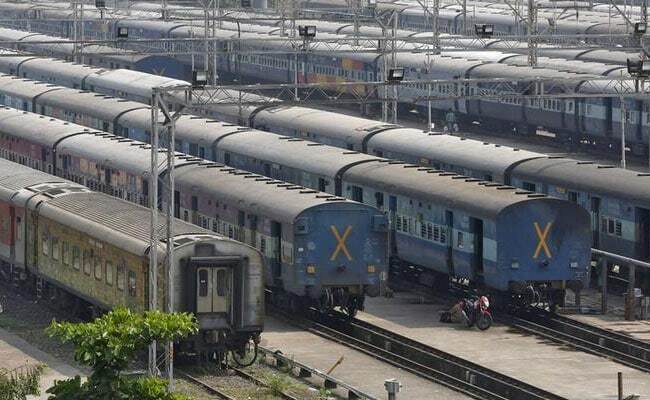 Agartala/Guwahati: Railway officials are working round-the-clock to restore breached rail communications following massive floods in Assam, Bihar and West Bengal in August, with most of the railway lines restored, a railway official said today. Of the 71 of long distance trains, including those running between northeastern states and rest of India, 48 have so far been restored by the Northeast Frontier Railway (NFR) after they were suspended in early August. "The services of remaining 23 trains will be restored in a phased manner after the repair of the damaged railway tracks," NFR Chief Public Relations Officer Pranav Jyoti Sharma said. Railway tracks at multiple locations in Assam, Bihar and West Bengal were damaged due to unprecedented floods and landslides and train services in the northeastern states came to almost a standstill from August 10. Railway officials worked round-the-clock on a war footing to restore the track breaches spread over vast area. "As a result of the efforts by engineers, officials, workers, the direct train services from northeast India to the rest of the country could be resumed. A goods train service resumed on August 29 and passenger trains from September 3," he added. All the trains between the mountainous northeastern states and the rest of India pass through New Jalpaiguri station in north Bengal and Katihar division in Bihar. Mr Sharma said NFR incurred substantial losses due to damaged railway tracks and assets and also suspension of traffic, with Katihar Division (in Bihar) bearing the brunt. He said Rs 63 crore has been spent so far on repairing the damaged tracks and assets, with Rs 45 crore spent in Katihar division alone. In Alipurduar division, a bridge is being rebuilt between Fakiragram-Dhubri section at Rs 8.7 crore. The railways also suffered commercial losses of Rs 209 crore, with refund to passengers for cancelled trains accounting for Rs 44 crore. Engineers of Army's Military Engineering Services (MES) also helped to restore train services, an NFR official said. The NFR serves seven districts in West Bengal and five districts in north Bihar, besides the seven northeastern states. An NFR official said that though it has not been estimated yet, but the NFR might have suffered another Rs 500-600 crore loss because of damage to railway assets, including bridges, culverts, tracks and communication networks.